With the rise in drug-resistant bacterial infections heralding a new, dark era of medicine, antibiotics alternatives could one day become the first-line defence against infectious diseases. With the urgent need to find new approaches clear, Caroline Richards, Editor of European Pharmaceutical Review, interviewed Dr. Bjorn Herpers, Chief Medical Advisor of the Dutch biotechnology firm Micreos, to find out more about the company’s targeted antibacterial products. Micreos is developing a lysin called Staphefekt, which specifically targets Staphylococcus aureus, including meticillin-resistant Staphylococcus aureus (MRSA). Dr. Bjorn also serves as Clinical Microbiologist at Public Health Laboratory, Kennemerland. How does Micreos’ novel, targeted antibacterial product work and which strains of Staphylococcal species is it effective against? Micreos has developed the world’s first endolysin registered for human use on intact skin. This endolysin is a recombinantly produced bacteriophage-derived cell-wall hydrolase that represents a new class of antibacterial agent. Micreos’ endolysin, Staphefekt, specifically targets both methicillin-resistant and methicillin-susceptible strains of Staphylococcus aureus. It is used for inflammatory skin and soft tissue infections where S. aureus is an aggravator and/or the causal bacterium. Endolysins work by instantaneously digesting peptidoglycan crosslinks in a bacterial cell wall causing irreversible lysis. The newly formed hole in the bacterial cell wall causes the host bacterium to be killed. Since this process is independent of the bacterial metabolism, it is also effective in biofilms. Can you explain why bacteria are unable to develop resistance to endolysins over time? Endolysin activity is a crucial step in the life cycle of phages. During a billion years of co-evolution of phages and their bacterial host, natural selection has yielded endolysins that target parts of the bacterial cell wall that the bacteria cannot change. This is because the targeted area is so essential to their structure that the bacteria cannot survive if a mutation, great enough to interfere with endolysin activity, occurs. Therefore, bacterial resistance has not been observed and is not expected. The mechanism of action of endolysins is unrelated to that of antibiotics. This means even antibiotic-resistant strains of bacteria, such as MRSA, are susceptible. Many bacterial species become resistant to antibiotics following long term treatment. 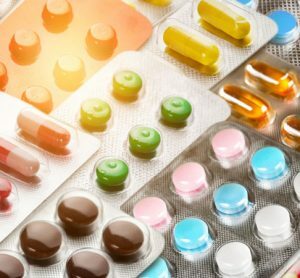 The antibiotics act as a selective pressure by killing off non-resistant bacterial cells and allowing bacteria with resistant characteristics to thrive. This is why long term treatment with antibiotics is highly unsuitable. 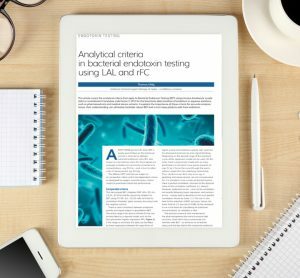 Does endolysin technology have potential for treating infections caused by other species of resistant bacteria? If so, do you plan to develop new antibiotic alternatives besides Staphefekt? As bacteria have evolved into different sub-species, so has their phage counterpart. As a result, for every bacterial species there is a complementary phage. For this reason, endolysin technology has the potential to target a vast range of bacterial species, especially Gram-positive bacteria, as they lack an outer membrane. Micreos’ pipeline includes products against coagulase-negative staphylococci, involved in prosthesis-related infections, and Clostridium difficile, a drug-resistant bacterial species which can cause fatal hospital diarrhoea. 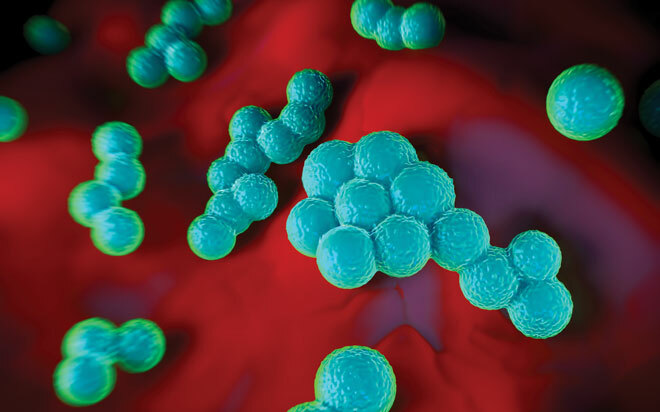 When do you expect to begin clinical trials for Staphefekt in resistant S. aureus infections, and is a regulatory approval filing likely in the next five years? In the next month or so a clinical trial is expected to start at the Erasmus University Rotterdam. The double-blind, randomised, placebo-controlled trial will study the current product Gladskin (with Staphefekt) in atopic dermatitis (AD); a condition for which S. aureus is recognised as an aggravator of the disease, possibly even the cause. Results are expected in a year’s time with the primary endpoint for the study being a reduction in the use of corticosteroid therapy. The study will also measure the different types of scores for AD symptoms such as itch, redness and severity. Staphefekt has been marketed as a medical device in Europe since 2013. The current products (creams and gels) target inflammatory skin conditions such as AD, inflamed acne and rosacea. 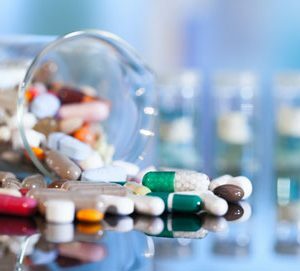 The development process for registration as a pharmaceutical product in European and North American regions has begun and will take several years. What would Staphefekt’s route of administration be for Staphefekt once it is approved, and how often would patients need to take it? The pharmaceutical product containing Staphefekt, like the current product registered as a medical device, is expected to be administered topically as a cream or gel. Due to the fact that resistance against Staphefekt is an unlikely event, it is suitable for use as a once or twice daily, long-term maintenance therapy. Besides topical use on the skin, a formulation is under development for use in wounds such as diabetic ulcers, pressure wounds and vascular ulcers, which are frequently infected with S. aureus. How much will Staphefekt cost once approved as a prescription medicine? This is currently unknown. However, Micreos strives to develop an effective treatment for the above mentioned indications which is affordable for all.